Prepare your face for a lifetime of luxurious curative care. The most deluxe way on earth to achieve a flawless complexion. Slip into this rich and velvety cream to restore your naturally luminous tone and texture. Sweet almond oil opens your skin to healing and brightening factors that ease away unwanted surface hyperpigmentation. Micronized sea kelp offers nearly-miraculous anti-aging, anti-inflammatory and brightening powers. With 3-6 months’ use, you’ll find your skin returns to its naturally radiant glow. Use Esthetic Blend Corrective Facial Moisturizer: Teal on its own, or as a first step to acclimate your skin before using the more intense and rapid Esthetic Blend Corrective Facial Moisturizer: Oro or Esthetic Blend Corrective Facial Moisturizer: Platinum. Apply a dime-size amount morning and night to the face. Use gentle sweeping motions from the center of the face outwards. 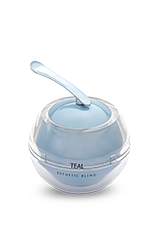 Initiate your skin to the wonders of the Esthetic Blend collection starting with Teal in order to even out any discolorations and prepare skin for the more dramatic pigment reducing and brightening effects of Oro and Platinum. Teal Intensify: A stronger, more hydrating formulation for darker skin. Teal HYDRALOC™: A delectable non-oily, non-greasy formulation. So, So Good For acne prone Sensitive Skin! This keeps my skin looking the best it ever has- been in my adult life, even, smooth, clear, and soft. And it is consistently beautiful, which is most important. I love that the texture feels rich but when I put it on it transforms. I can use it year round, and it provides the perfect amount of lightening & hydration. Thank you Skintrium!! The Teal has always worked quick and fast for me. Love that you guys added free shipping to the U.K. 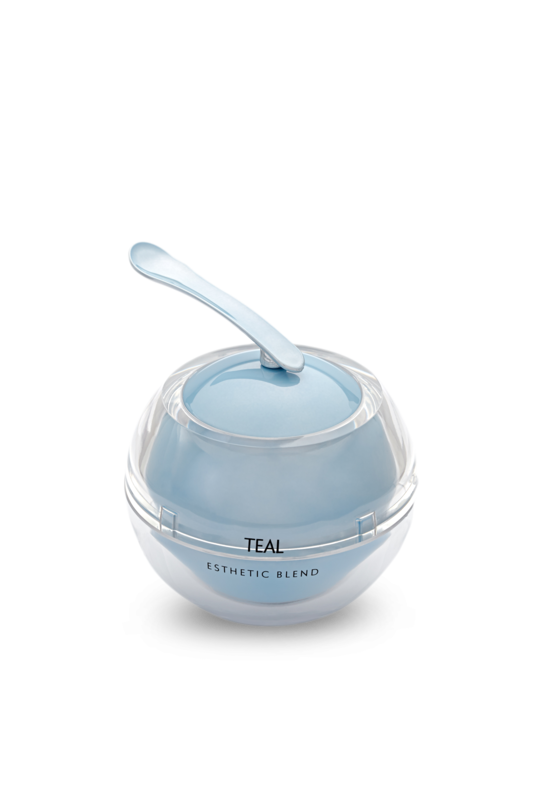 If your like me and have sensitive skin, then the Teal is what you need. No breakouts, no sensitive skin and I got the lighter skin I was looking for. Wish it were a little less, but I guess you get what you pay for. I'm obsessed and will never stray or be tempted by anything else that claim to have similar and comparable effect. This is the most delicate effective product ever, if you are like me, corporate America, classy, socialite who's ever there and all over the place, dates a lot and must have a fresh flawless aesthic. Then this is the only product that will keep your skin in the glow... It's my only go to product for flawless spot free lighter skin.